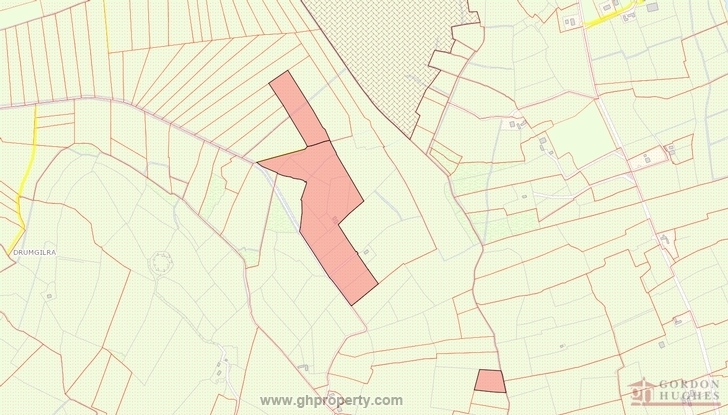 New to market this property comprises of No.2 separate parcels of agricultural land situated less than 2km's apart & midway between the villages of Drumlish & Mohill. Offered for sale in 1 or 2 lots the property comprises of a total of 10.54 hectares or approx 26 acres. The 1st folio located at Drumgilra totals 15.83 acres with direct access to the adjoining laneway. The 2nd parcel located at Rosbeg comprises of 10.20 acres & again has direct access to laneway & the adjoining River Black. Ideal Investment Opportunity. Further details & maps etc with Sole Selling Agent. From Mohill proceed out the main Drumlish road L1053 for approx. 9km until you come to Farnaught cross. Continue straight through the crossroads & take an immediate turn right down the country lane for approx 400m until you come to the property (Drumgilra). From Mohill proceed out the main Drumlish road L1053 for approx. 9km until you come to Farnaught cross. Take a right turn here at crossroads & continue for approx 1km & take turn right at the next crossroads & continue for approx 700m until you come to the property on your left hand side.